One of the things I hate about New Year’s Resolutions is they seem to be about taking away something rather than giving yourself something. I suppose one could argue if you lose weight with more exercise and eating more nutritiously you are giving yourself a longer, healthier life. But when our brains think of resolutions as punishment rather than pleasure, it’s hard to maintain them. For caregivers, resolutions are even harder since you are typically juggling many of life’s balls — children, career, caregiving — and most often, the ball getting dropped is the one that says “self-care.” Adding one more thing to your To Do List in 2013 is enough to make you cry (or scream, or throw something or grab that pint of mint-chocolate-chip ice cream that makes you feel better, until you step on the scale). Here is my solution for caregivers to those daunting New Year’s Resolutions. Let’s re-wire our brains to think “what am I giving myself” instead of “what am I not going to give myself.” This year, you are going to give yourself a gift — that’s right — no cutting back, no cutting out and no cutting corners. If you follow these steps, you will not only improve your physical health but your mental health and that is a resolution worth celebrating. When you become a caregiver, you often feel like you entered one of today’s popular reality TV programs — it is like Survivor and The Amazing Race all at once. Instead of frantically looking for clues, or worrying about what the tribe will say, let’s call your 2013 reality show Me Time Monday; there are 52 episodes (one each Monday). Me time is the essence of self-care, which is the balance you need when you are caregiving. First of all, you need to make a list of all the things you love to do that are just for you. These are probably things you have abandoned or at least don’t get to as frequently if you are caregiving. It helps to think about things you loved to do as a kid (bike riding, hopscotch), or activities you enjoyed when you had no pressing responsibilities (such as kids, a job, a husband or a loved one to care for). Me Time is how you define it. Your Me Time may be gardening, reading a good book or magazine, painting or sculpting, getting a mani/pedi, going for a scenic drive, or perhaps it is hula hooping like First Lady Michelle Obama. Make sure you only list things you love that are just for you — if you wrote down exercise but it’s something you feel you have to do rather than love to do, it’s NOT Me Time. University in order to apply marketing best practices to public health challenges. According to the research, The Monday Campaigns show a projected 74 percent of American adults older than age 25 believe giving healthy intentions a Monday start will make them more lasting throughout the week. Part of the Monday Campaigns is Caregiver Monday, a specific campaign targeted to helping the nation’s caregivers take care of themselves. Write it down. Put your Me Time Monday activity on sticky notes. Post these notes on your refrigerator, your bathroom mirror, in your wallet, on your smartphone, on your car dashboard — anywhere you will see the words every day. These are love notes to yourself. Take baby steps. If your Me Time is taking a 30-minute walk to enjoy nature and outdoors (a great stress reliever), start with buying new walking shoes on your first Monday (it’s all about the shopping for me). The following week it may be getting just a few minutes to walk around the block — you don’t have to achieve 30 minutes on Week 1 — just get started. Once you get in the groove you will find you plan your Me Time because of the comfort it brings you. If you miss a week – don’t beat yourself up. Evaluate what derailed you and see if you can eliminate the obstacle the next week. What’s great about Me Time Monday — you have 52 chances to stay on track! And you don’t have to do your activity on Monday — just use Monday as your “check in” point for the week to figure out what you are going to do and how to find that time. Track your progress. Put a little heart on your weekly calendar when you do your Me Time or tell a friend who can be your cheerleader about your plan and let them applaud your weekly progress (and help give you a caregiving break so you can get your Me Time – see the Alzheimer’s Care Team Calendar as a great way caregivers can get help to get a break). Getting reinforcement — whether through a friend or seeing a lot of hearts on your calendar will keep you motivated. Feel everything around you. Stop and try to use each of your senses in what you are doing. Can you see yourself happier? Do your shoulders relax? Do you feel a little more refreshed? Do you hear the sounds around you? Do you smell the wonders of your environment? Do you feel re-energized so you can keep caring for everyone around you because you took a little Me Time? Sensory cataloguing is a great way to revisit your Me Time and re-wire your brain to crave that Me Time so it becomes essential to your well-being. Now push “Play” on your imaginary remote control and let your Me Time Monday reality show begin! To view the Me Time Monday videos, visit the Caregiving Club YouTube channel. 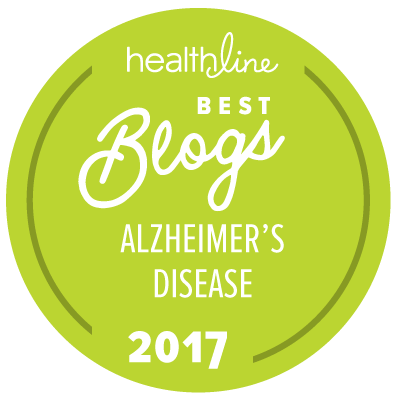 Note: This blog is adapted from A Cast of Caregivers – Celebrity Stories to Help You Prepare to Care by Sherri Snelling (Balboa Press, Feb 2013). Sherri Snelling, CEO and founder of the Caregiving Club, is a nationally recognized expert on America’s 65 million family caregivers with special emphasis on how to help caregivers balance “self care” while caring for a loved one. She is the former chairman of the National Alliance for Caregiving and her book, A Cast of Caregivers – Celebrity Stories to Help You Prepare to Care will be published by Balboa Press, division of Hay House Publishing in February, 2013. Thank you Sherri. Caregivers need “me time” for sure, and when it seems daunting to create some, I hope we’ll believe we can do it, in small ways-even if it’s just reading a National Geographic at home, or taking a bubble bath when there’s a professional home care person there on Mondays. I look forward to more posts! Tryn Rose – you are so right – even if it's just a couple minutes to stop and listen to the trees rustle or the birds sing – whatever replenishes your "tank" so you don't hit empty makes you a better caregiver to your loved one! Thanks for sharing your positive attitude with everyone! I totally agree with “Me Time”, well kinda. I would think most Care givers are so entrenched in Giving and what works for them that either they have a hard time breaking out of the mold or feel guilty that they are doing something for themselves. My big question about this “Me” idea is : Who is tending the care receiver while the care giver is gone ? ? I really like the idea of "me time". However, before I placed my patient, being a 24/7 care provider eliminated that possibility 100%. When your patient doesn't qualify for any public assistance nor can afford to pay for any respite care (here $16 hourly) how can you have time to yourself without neglecting the person you take care of? Thanks for posting this info. As a "new caregiver" I am somewhat unprepared for this role. My wife has been diagnosed with "mild to moderate dementia" by our neurologist. I pretty much figured this part out for myself, having been married to the same woman for 50 years. At present, we are trying to address three different issues. Dementia, back (L4/L50 issues, and just recently, a diagnosis of coumadin necrosis. This as a result of too much coumadin being prescribed to control blood sugar. She spend a week in the hospital for treatment, and now, is receiving "wound care" from a home health organization. Soooo, you can see, the "pirougue is full", as the cajuns say. Downright stubborness on my part, as well as my Catholic faith, have carried me through so far. The future, well, we'll just have to see about that when the time comes. Thanks again. YESTERDAY, I HAD TO TELL MY MOTHER THAT SHE WOULD NEVER GO HOME AGAIN. IT’S A DAY THAT I’VE DREADED FOR TWO YEARS. “Yes” would have been easier, but “No” was the only thing I could say. “Yes” would have sounded like “I Love You”, but “No” meant “I Love You”. My writings find genesis in the daily events of my life. There are days, I discuss the monumental, the mundane, the humorous or the tragic. For some unknown reason, I’ve been known to confess my fears, my sins and my failures. I willingly share the most intimate parts of who I am. My thoughts fill my words and my emotions sometimes drip from my phrases. But this morning, the pain of a single look from eyes that first looked on me with love pour from my soul and out of every letter. I am still haunted by the emptiness reflected on a face where love has always resided. Eyes that once were bright with hope were dulled by reality. Even more than every day before, my brain finds the entire situation maddening in its futility and enraging in its absurdity. A condition I cannot change demands choices I wish I could. My anger rages at so many, named and nameless, faced and faceless. It is the kind of anger that threatens all it touches while it consumes part of my own soul. Most of all, I hate an evil disease which I cannot find to destroy and stop its destruction. The details are personal, private and irrelevant. The pain is real and one which many families face every day. The words from my lips were raw in their effect, but tender in their delivery. They lay bare feelings of abandonment, being unwanted and uselessness which then overran and replaced feelings of security, love and family. The emotions and confusion reigned supreme over logic. And nothing I could say or do could bring clarity back into the picture. I pray that pain and fear did not infiltrate the dreams where rest and peace were needed most. I know that my sleep was broken in pieces by echoes of the word “No” and the response on a face of beauty. Today begins the healing process; the rebuilding of trust; the restatement of love. For all the tomorrows, I will live with knowing “Yes” would have been much easier than “No”, but with the knowledge that “what is best” is not synonymous with “what you want”. This make me think of my mom and grandmother. My grandmother had a stroke several years back and my mom had to spend every waking moment taking care of her. We all tried to pitch in as much as we could to help, but we could see how much it wore my mother down. My sister and I would take turns helping out so she could catch her breath. There where some days I really didn’t know if she was going to make it through without having a nervous break down. It’s so important to help those who are helping other to give them that “me time” just so they can keep their sanity. I admire caregivers. They are brave enough to leave their family and take care of other people instead of their own flesh and blood. Indeed, they deserve to be pampered so they will continue on their lives no matter how hard it is. I’m a massage therapist and most of our bookings came from agency that caters to caregivers. They really deserve relaxation. I think probably the baby steps part is the most crucial when it comes to resolutions. It's easy to get overwhelmed sometimes.